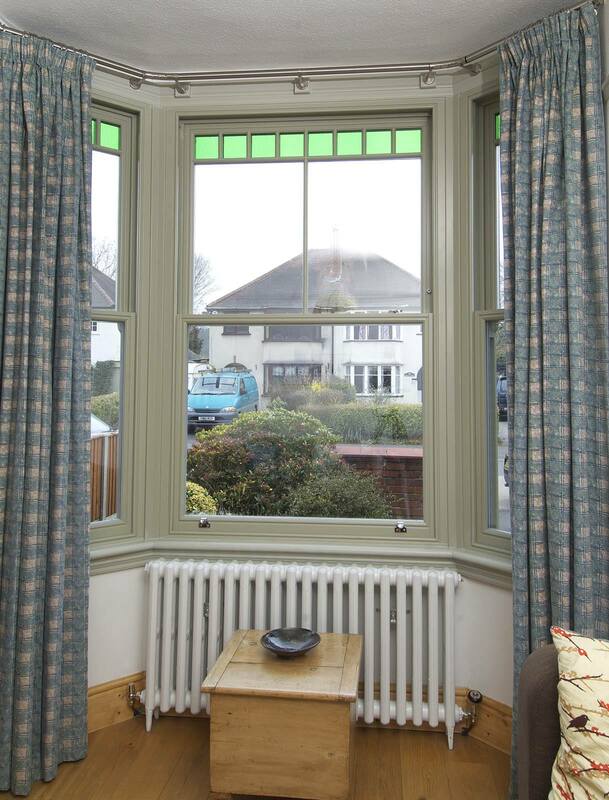 Timber sash windows were updated in this home whilst replicating the intricate upper design area and coloured glass sections, as well as a fine vertical glazing bar to the upper sash. The frames were given a subtle but modern twist, finished in a contemporary shade of French Grey. Minimal, fine glazing bars allow the large expanses of glass to fill the rooms with natural light whilst energy efficient double glazing ensures that heat doesn’t escape at colder times. 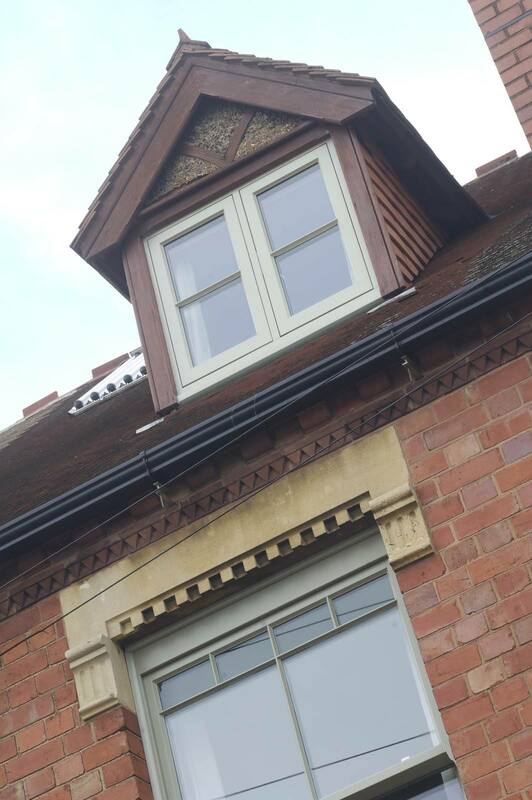 Being a three storey property, the upper most floor features a flush casement window with a single horizontal glazing bar. 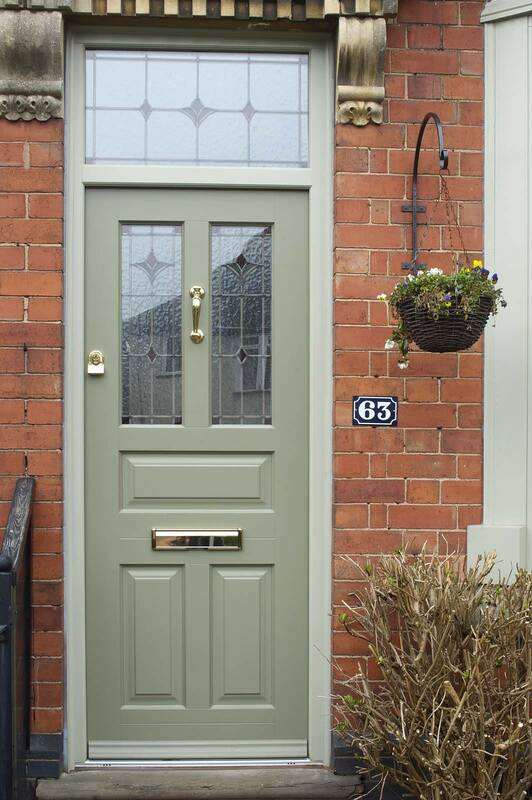 The specially designed Front Door is based on the “Kingston” design from the extensive Timber Windows range, and has been adapted to be in keeping with the original style (compare it to the neighbouring property in the pictures), is painted to complement the window colours, and features decorative glazing to the door and top light in the “Classic” pattern. 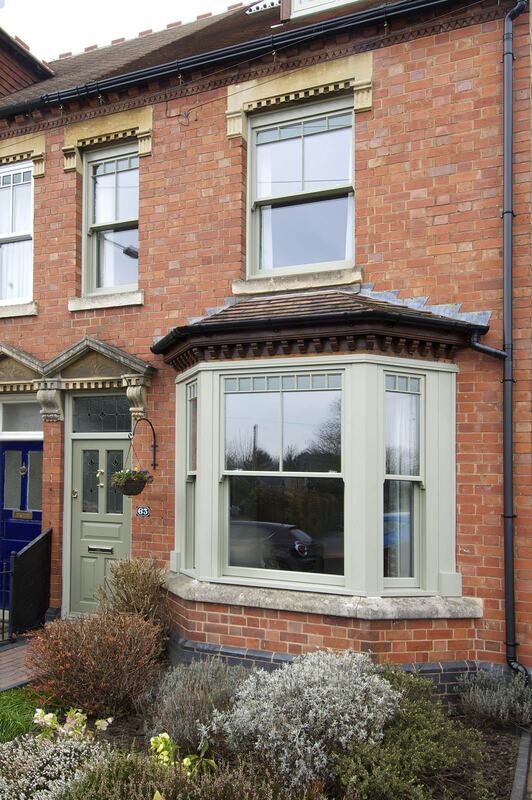 A fine example of modern, superior design and materials retaining the character and history of a period property, expertly designed and installed by Timber Windows of Harborne. 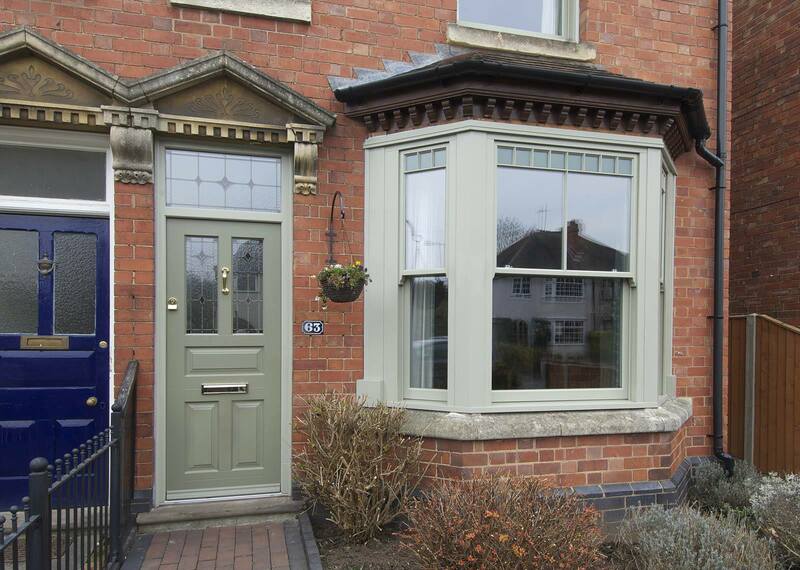 Replicating period features such as intricate frame design, coloured glass, specially adapted door design is all part of the Timber Windows service and expertise.